2. Now Download Android Id Changer App. 3. Don't worry about rooting with that application just bcecause rooted version of Bluestakcs comes with pre-installed superuser app, So no need to worry. 4. 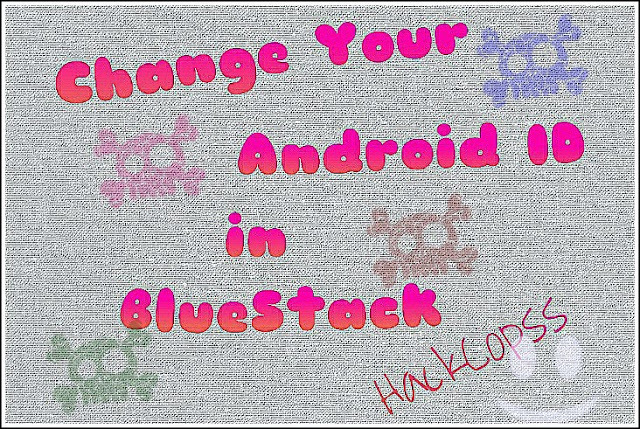 Now just Install Device ID Changer Apk in your Bluestacks and open the app. 5. Here you choose your android device id or you can also generate random device id for your android device. Note:- There are many benefits for changing your android device id. But never use this trick for any crime purpose. I am not responsible for that what you done with this trick. I Hope you like this amazing tricks, If you have any issue regarding this post, Feel Free to comment i'll be respond to all comment as soon as possible.